In this episode of the Tactical Squad: Alex, John and Travis review the final War Pack of the Deathworld cycle, The Warp Unleashed. This was recorded at the end of October before Worlds, but unfortunately we had some delays with production. In this episode of the Tactical Squad: Jon and Travis talk about the Canadian National Championship, the official announcement of the end of Conquest and review the cards from the fifth War Pack of the Deathworld cycle, Against the Great Enemy. Speaking of the Canadian Nationals, members of The Tactical Squad provided commentary for the livestream of Warhammer 40,000: Conquest Top 8 on vttv.live. You can check out those matches now on YouTube or check out the results here. The plan for the podcast is to record two more episodes. One will be before Worlds in November and we are planning one final farewell episode when we return from Minnesota. 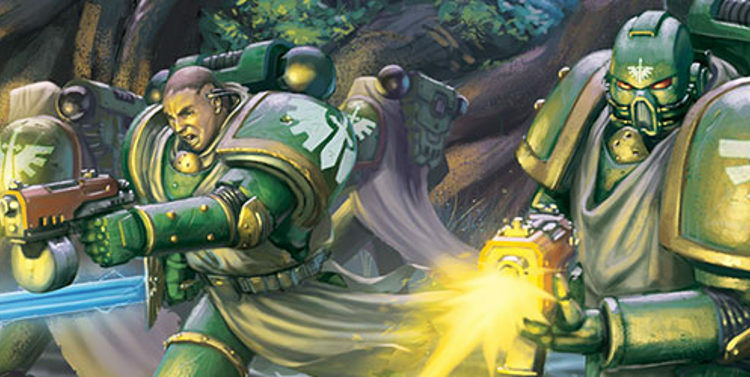 In this episode of the Tactical Squad: Jon, Victor and Travis review the Searching For Truth War Pack, discuss the Squad’s exclusive spoilers for upcoming Chaos cards, and talk about our plans for Canadian Nationals, happening September 9th through 11th in Toronto. Speaking of Canadian Nationals, tickets are still available. The Warhammer 40,000: Conquest event starts at 11am on Friday, September 9, 2016 at the Holiday Inn Yorkdale in Toronto, Canada. All of the Fantasy Flight Games competitive games will have their Canadian Championships taking place over the weekend, so if you are also a fan of X-Wing, Android: Netrunner, Imperial Assault, A Game of Thrones LCG, Star Wars Armada or the Star Wars LCG, check out the full schedule. The Tactical Squad will not be competing this year because we are all volunteering to make this the best Canadian Nationals event possible. Victor and Travis will be officially launching a new venture alongside the event, offering full streaming coverage of multiple events. This is an extension of our monthly 401 Games livestreams as we try to create a new home for live competitive FFG content online. We’ll be bringing something from every event, including the entirety of the Conquest Top 8 on Friday evening starting at 5:30pm. You can check out the full streaming schedule for the weekend over on our new site, VTTV.live. The 5th War Pack in the Deathworld cycle, Against The Enemy, should be hitting store shelves pretty soon. As the final pack in the cycle will contain the Chaos warlord Vha’shaelhur, Against The Enemy will be the last pack in the cycle with non-signature cards from the Chaos faction. 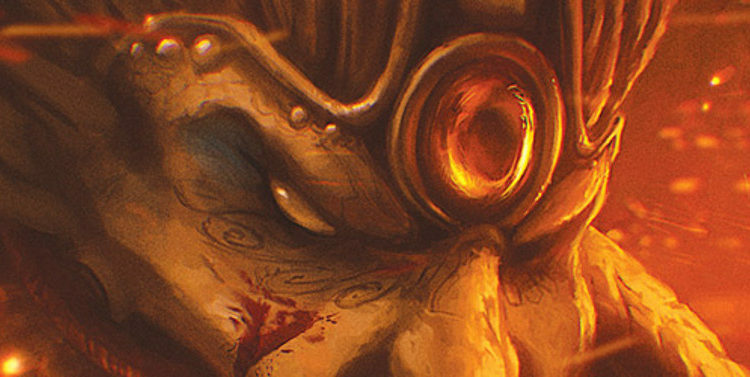 Fantasy Flight Games was kind enough to give us an early preview of the three Chaos cards in the pack and they offer a little something for ever flavor of Chaos! The first card is the Purveyor of Hubris, a 4 cost army unit. The second unit from the pack is the Sickening Hellbrute, an Elite Nurgle unit with a beefy health stat and a novel ability that really amps up the pain and suffering. Although Sickening Hellbrute has a pretty low ATK stat, the fact it has Brutal will mean it can definitely dish out what it can take. The interesting part of this unit is its ability, which affects both players and is a forced reaction. Having every unit take an extra damage when it’s attacked at a battle is definitely going to benefit players who are ready to do the math, with both players subject to the Hellbrute’s ability when their unit is declared as a defender. One consideration would be playing it with Zarathur, High Sorcerer who would deal 2 damage when a unit is declared as a defender. This would also mean Zarathur taking an extra damage when he is attacked making it easier to assassinate that tricky wizard, something which is already a problem for Zarathur players. This unit might also be decent in a Necron deck as Necrons have the cards to mitigate some of the extra damage, plus they are able to take the Techmarine Aspirant can allow the unit to take advantage of the Brutal trait much faster. Some synergies for this card include the new Disciple of Excess to keep him put, and because the Sickening Hellbrute has the Nurgle trait his planet can be a target of Fetid Haze which can makes him even more fearsome against fewer, or already damaged units. The final card, Cloud of Flies is an attachment with a pretty simple damage dealing ability that can only be granted to army units with the Nurgle trait. Similar to the Hellbrute, this card ability affects both players forcing them to assign 2 indirect damage among their units; similar to Fetid Haze, the cloud can only target non-nurgle units, so this ability generally favors Chaos players. Cloud of Flies seems like an especially terrifying ability if more than one copy enters play at a single planet, since it triggers every round. Two of these on a planet can easily lead to eight or six indirect damage over two turns if their #blessed units remain in play. However, this card might have some drawbacks: even if you play mostly Nurgle units or run big health units that can easily brush off the damage, so this card may not offer a lot of value. Like a lot of Nurgle cards this is going to reward players who are doing the math, or you play all Nurgle units and you come out two damage ahead. In both cases I think there are too many things to take into consideration to make this worth the costs when there are so many other better chaos attachments to play. The Tactical Squad would like thank FFG for allowing us to share these early spoilers with the community. Feel free to comment and let us know what you think of these cards and whether they will find their way into your decks. In this episode of the Tactical Squad: Liz, Victor and Travis cover some news and take a look at the state of the Tau and Chaos factions. In this episode of the Tactical Squad: Alex, Jon and Travis review the cards from the Unforgiven War Pack. Episode 30 – I’m a Brad, Brad Man! In this episode of the Tactical Squad, Jon and Liz interview Warhammer 40,000: Conquest lead designer, Brad Andres. We take a look back at Planetfall and Legions of Death and a look forward at what’s to come in the Death World cycle. If you are reading this Sunday morning, July 10, join us on our Game Night Kit tournament livestream at 1pm EDT here: https://www.twitch.tv/401games. With the Canada Post strike looming, I don’t think we’ll be giving out prizes this week, but we’ll be hanging out in chat. In the 40k universe, the average human lives a pretty harsh life. Between the constant threats from alien races and the fact that most worlds are harsh, industrial crypts that are over populated, death is always lurking in the shadows. However, on some planets the dangers are closer to home; literally right outside the front door. On these planets the natural environment is so dangerous that human settlement on a planet-wide scale is almost impossible. These are known in the Imperium as Death Worlds. Most death worlds fall into two categories. The first being where the majority of the landscape is covered in carnivorous plants and animals that are large enough to prey on humans. The second are wastelands made up of volcanic landscapes, toxic atmospheres, terrible ion storms or, in some cases, a combination of all three. It is noted by Imperial Scholars that many of the deadly creatures found on these death worlds have similar traits to creatures found in Tyranid swarms. Based on these observations, there are many in the Imperium that believe these planets were once “harvested” by the Tyranids. The creatures are what is left behind once the greater hive fleet has moved on. Being separated from the Hive Mind, these creatures revert to a feral state. Because of the above dangers, human settlement on a planet-wide scale is rarely attempted and most of these planets are left alone. However, some of these planets have significant value to the Imperium, either through strategic placement or valuable resources. In these cases, humans do try to carve out an harsh existence on those worlds. The humans who live in these settlements must be particularly hardy to survive. Their lives are a a series of regimented tasks, with each individual being a cog in a machine designed to keep the entire group going. No effort or action is wasted and each individual recognizes that duty to the group is greater than individual need. These traits tend to mean the humans from these settlements make great additions to the combat forces of the Astra Militarium and are some of the fiercest fighters. Catachan Warriors and the soldiers that make up the Death Korps Of Kreig are two prominent examples. In their minds, the humans on theses planets sacrifice for the betterment of all of the Imperium. Their sense of duty and sacrifice is fundamental to part they play in keeping the great machine of the Imperium working. I hope you have enjoyed this article from the Lore Librarium. In the next installment we will again delve deeper into some of the lore found in the Unforgiven warpack. In the second article in our Deck Club series, we take a look at one of the new wave of Elite heavy decks and talk about how it is matching up against the meta. In this episode Travis and Victor review Jungles of Nectavus, bring you two new Eldar Spoilers from the upcoming Unforgiven War Pack, and talk about Elites. The highlights from our June 12 GNK livestream from 401 Games is available. We’ll be streaming again at the next event on July 10th, starting at 1pm. Eldar spoilers from Unforgiven, featuring card images and insights from our very own Jon Yeo.